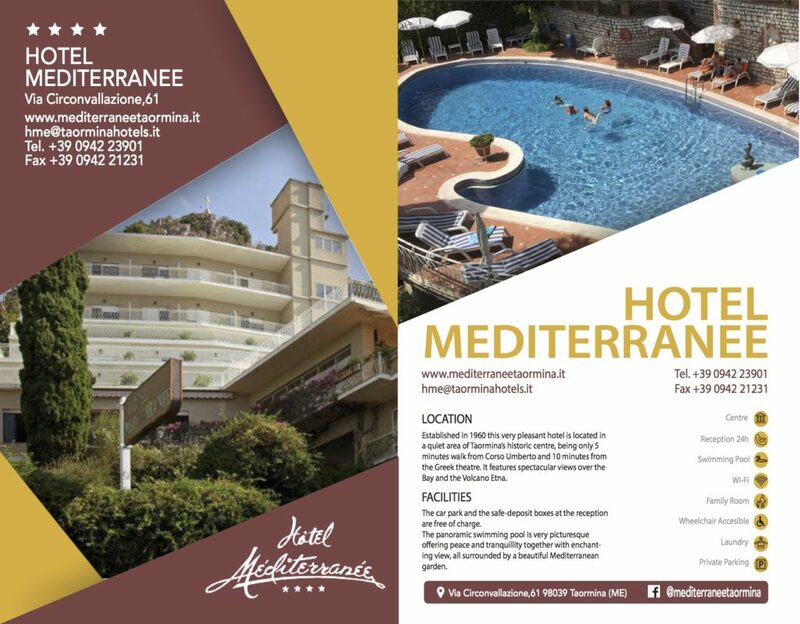 Hotel Mediterranee: Established in 1960 this very pleasant hotel is located in a quiet area of Taormina’s historic centre, being only 5 minutes walk from Corso Umberto and 10 minutes from the Greek theatre. 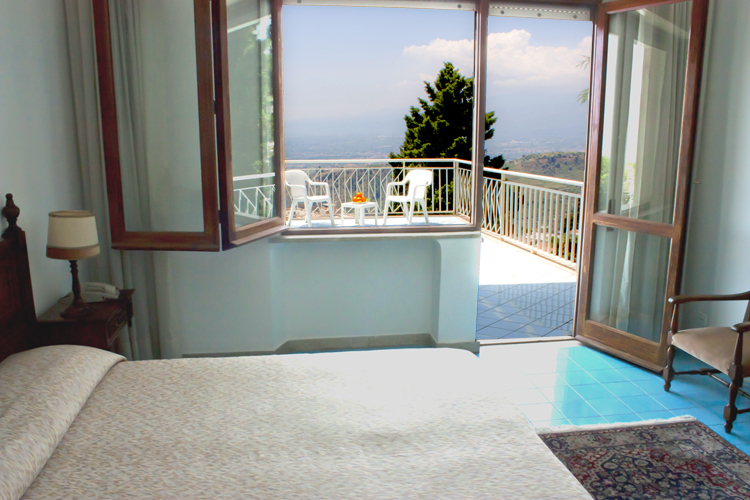 It features spectacular views over the Bay and the Volcano Etna. There is a lift. Bar and lobby sitting room with complimentary WI-FI connection. 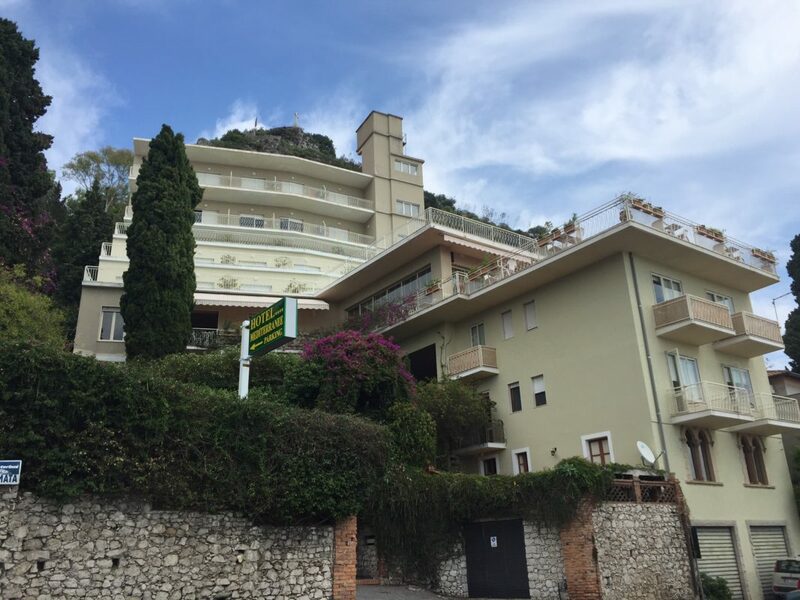 The car park and the safe-deposit boxes at the reception are free of charge. 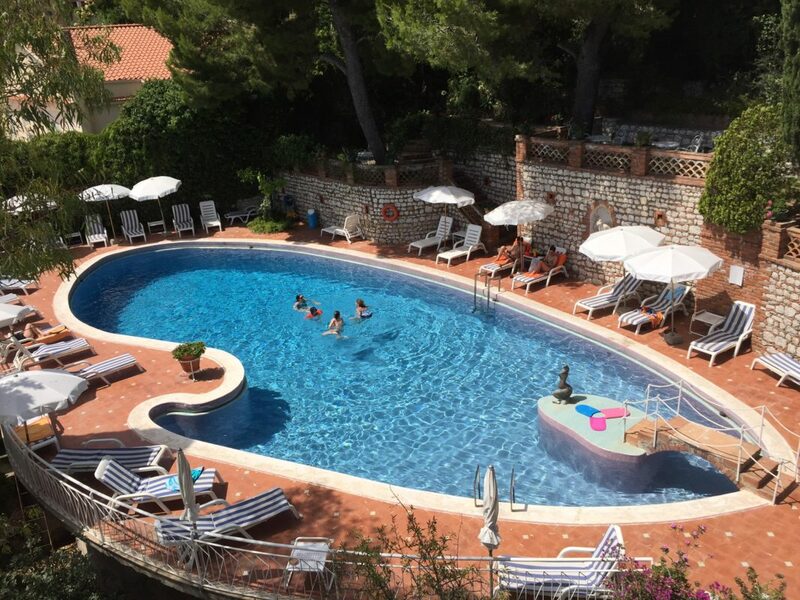 The panoramic swimming pool is very picturesque offering peace and tranquillity together with enchanting view, all surrounded by a beautiful Mediterranean garden. 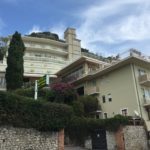 Guests also have the opportunity to use the facilities at the sister hotel, the Lido Méditerranée, located on the beach of Spisone (Taormina Mare). Its private beach, equipped with sunbeds and beach-umbrellas, is offered free of charge. From June until September a minibus service to and from this beach is available. 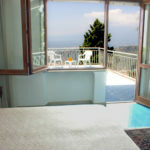 The professional and friendly staff looks forward to making your stay in Taormina even more comfortable.